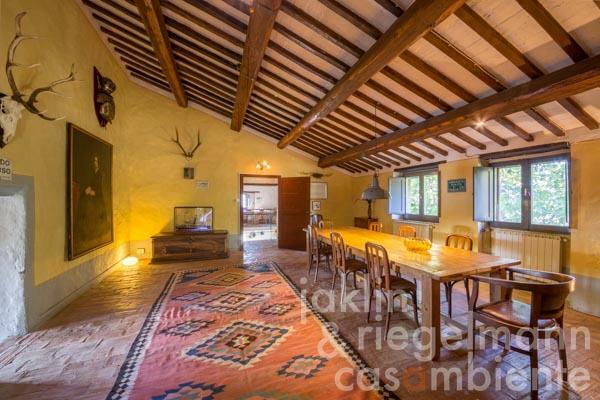 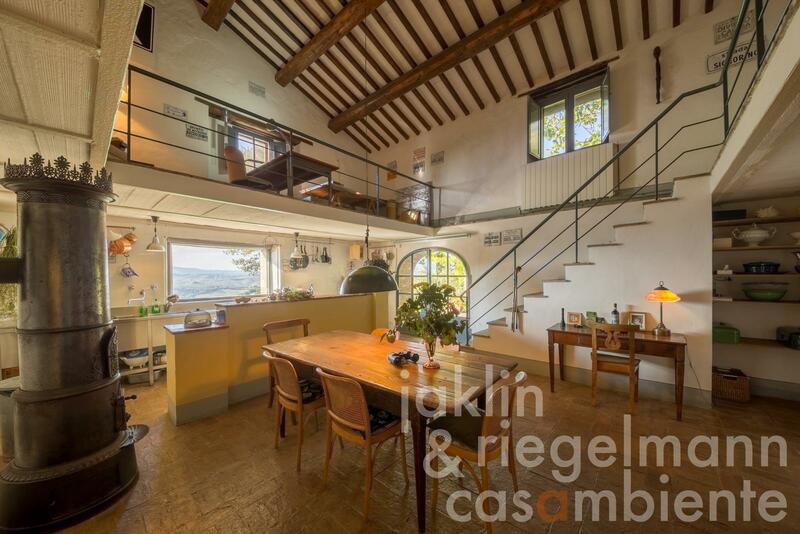 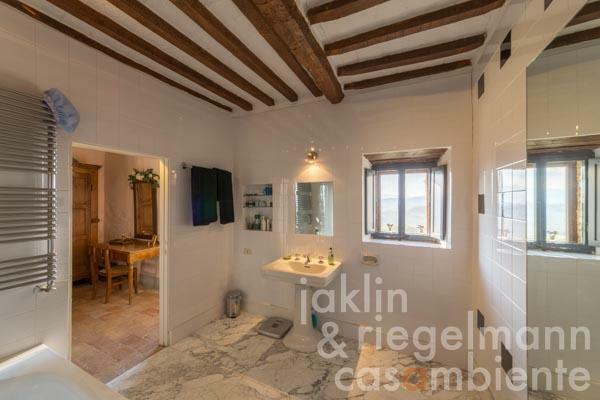 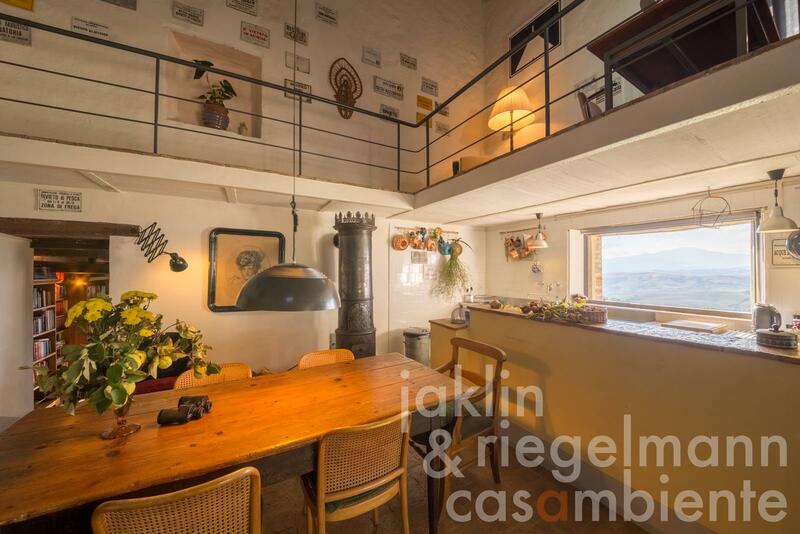 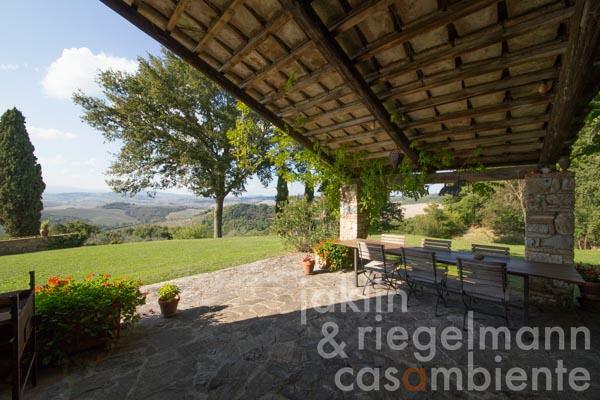 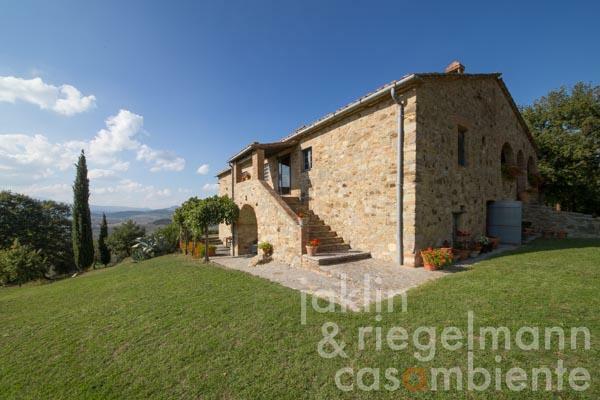 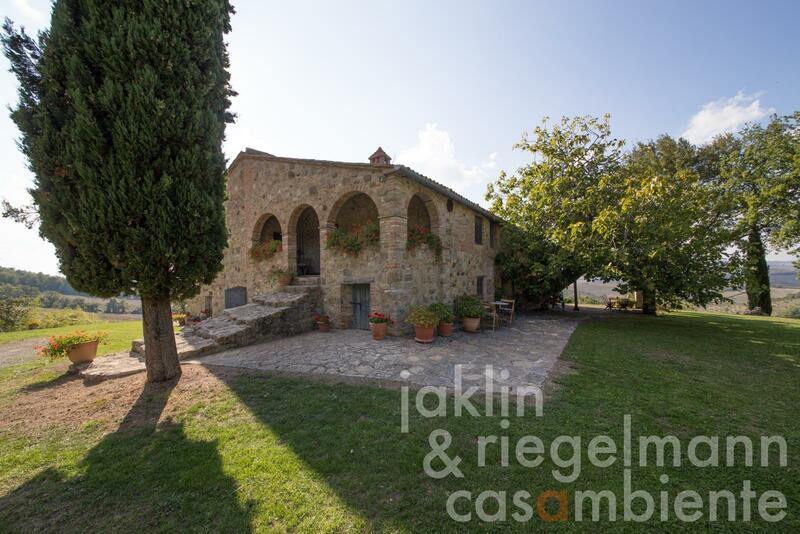 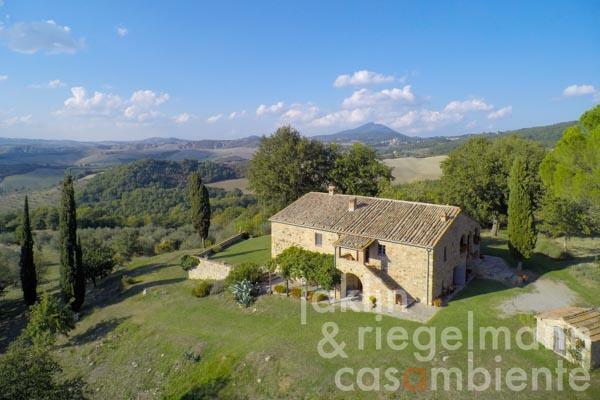 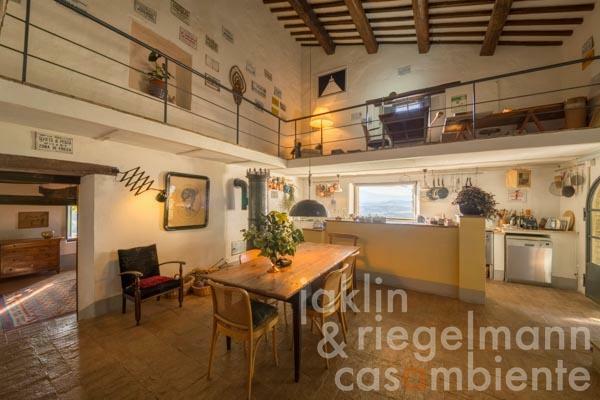 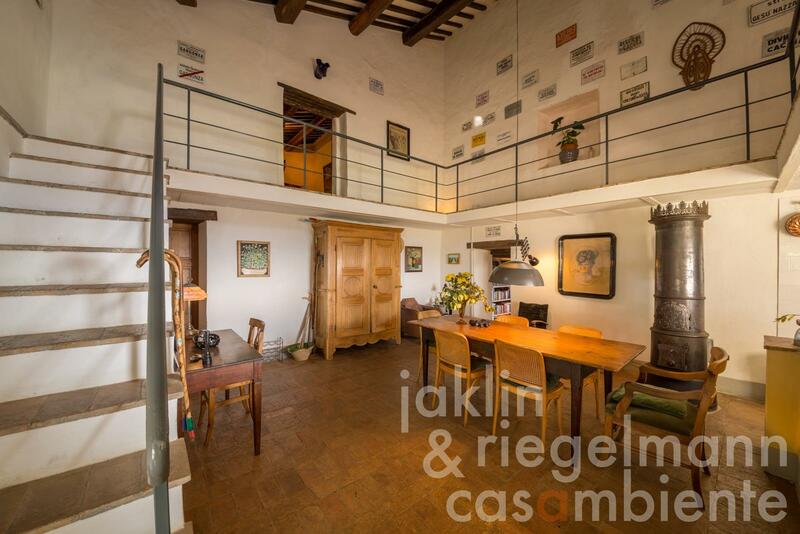 This exclusive stone built house with a picturesque, breath-taking view over the beautiful Tuscan countryside is located just a few kilometres from the historical centre of San Casciano dei Bagni, one of the most beautiful cities in Italy and famous for its exceptional thermal springs. 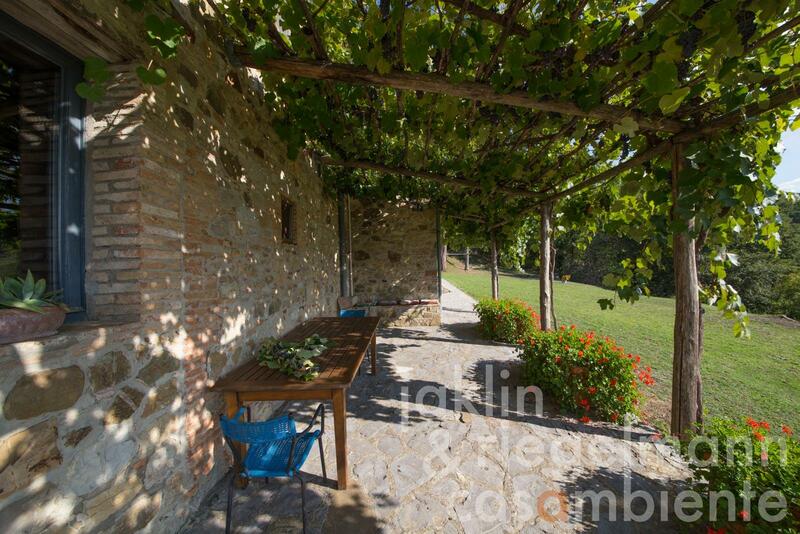 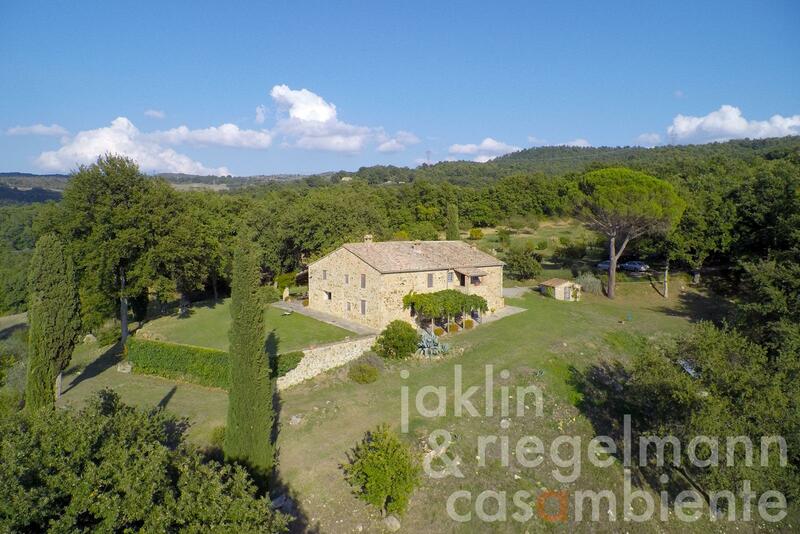 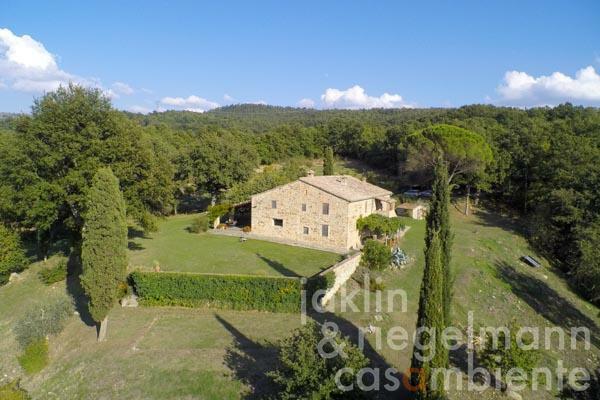 The property has about 25 hectares of land with a large olive grove (approx. 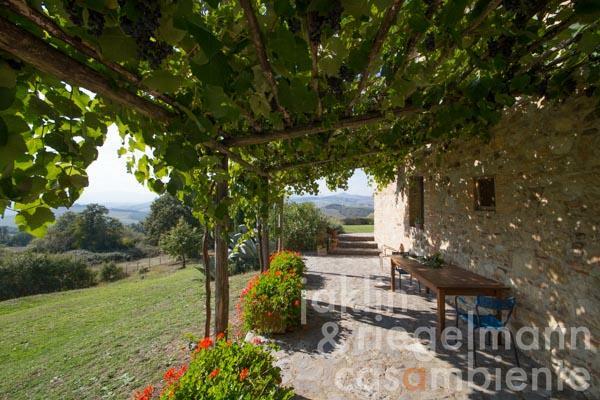 350 trees), a rich orchard with more than 65 fruit trees as well as cypresses, oaks, meadows and a small lake. 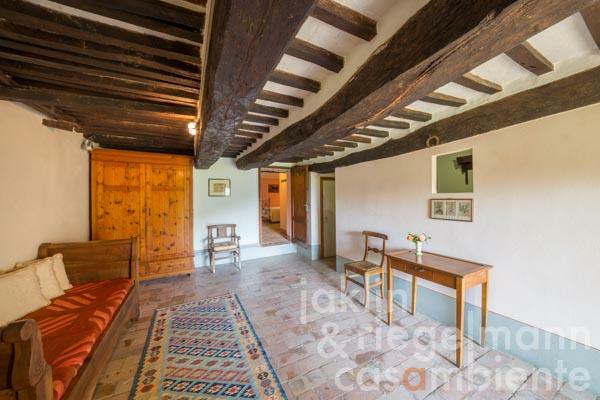 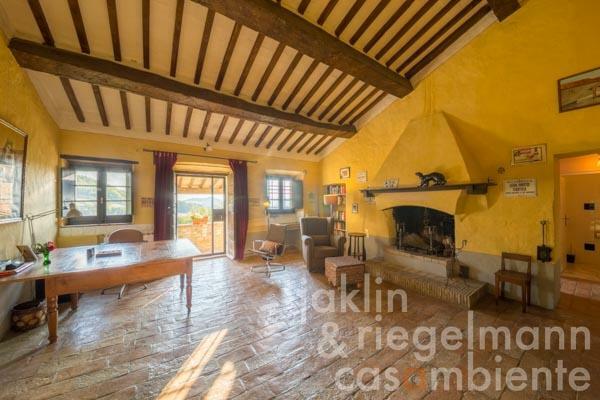 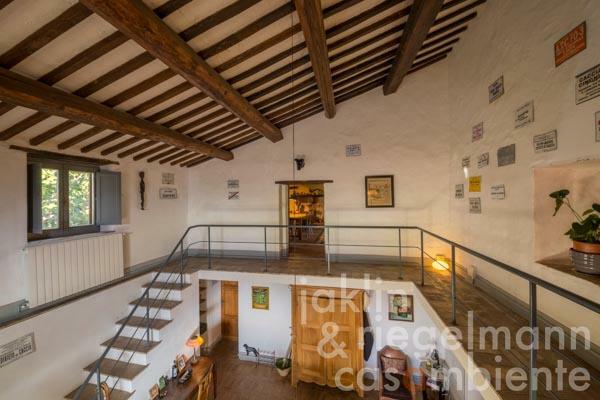 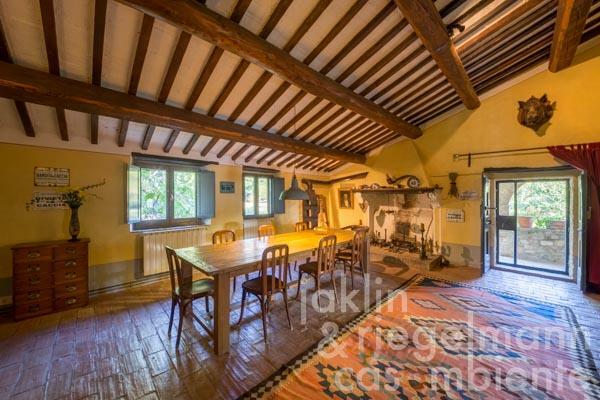 The spacious former farmhouse of approx. 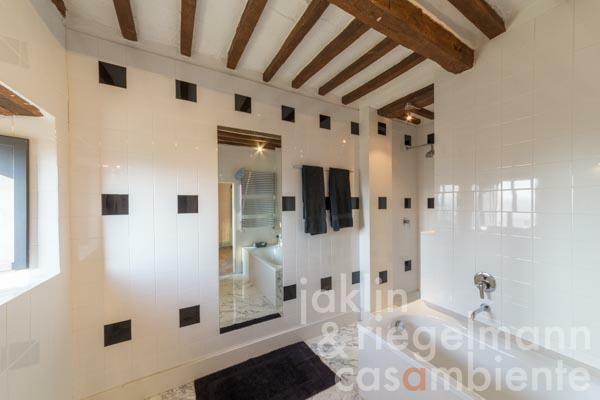 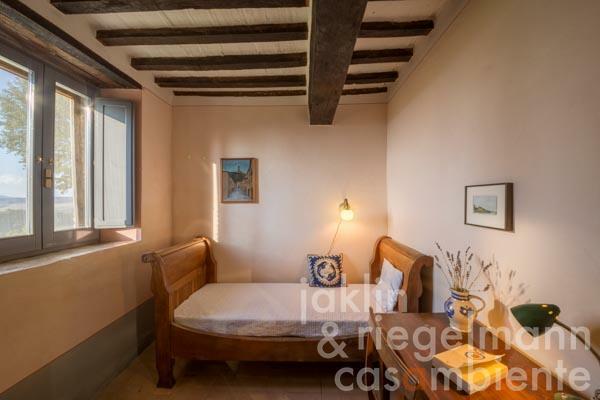 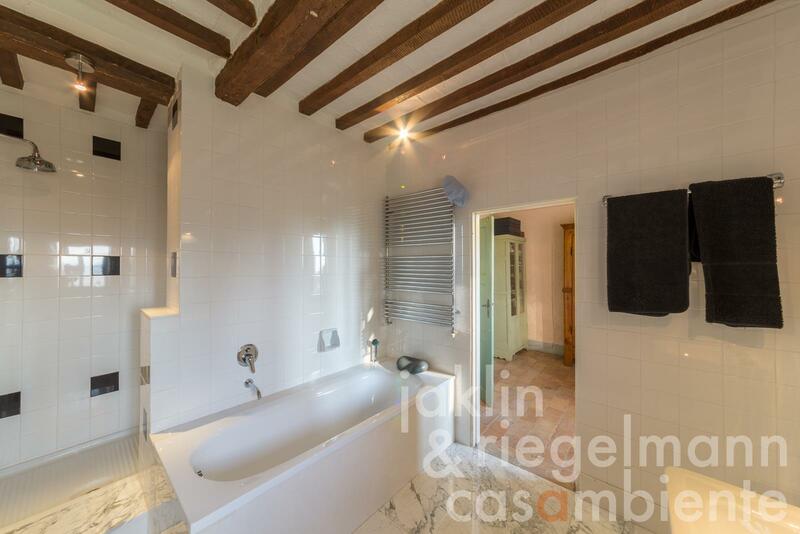 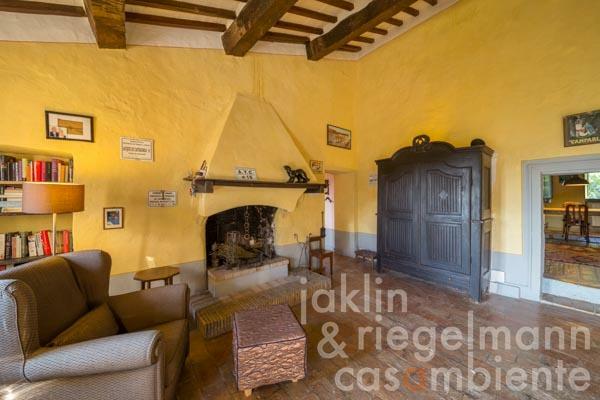 400 m² has been lovingly restored, preserving its original characteristic features such as terracotta floors and ceilings with visible wooden beams and terracotta tiles. 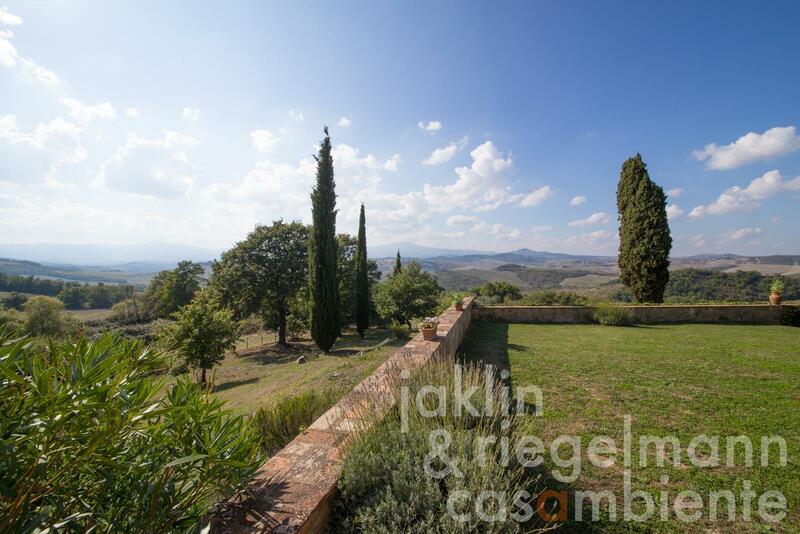 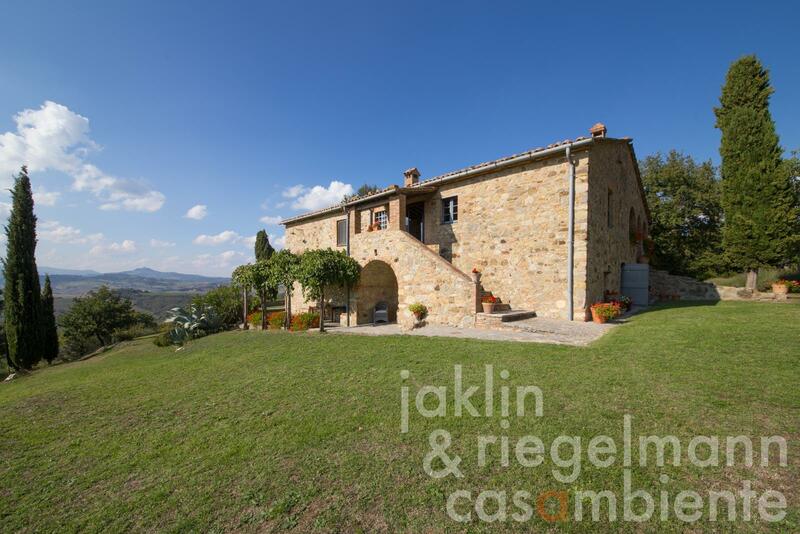 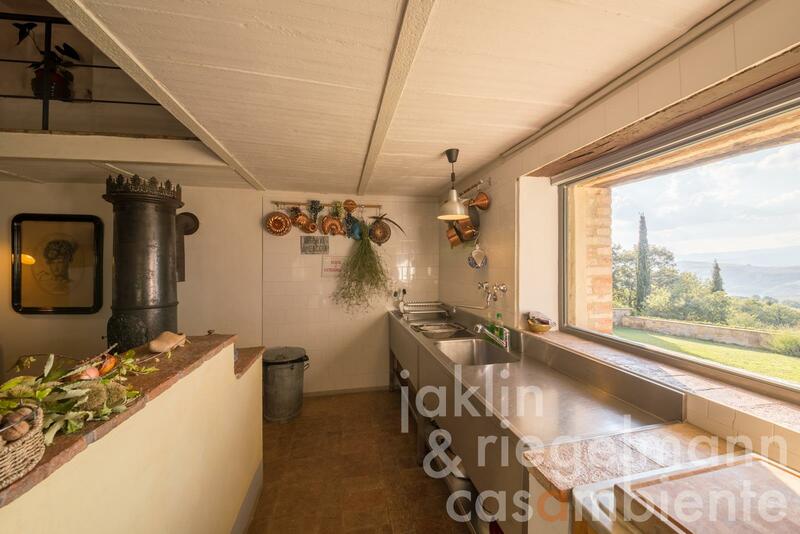 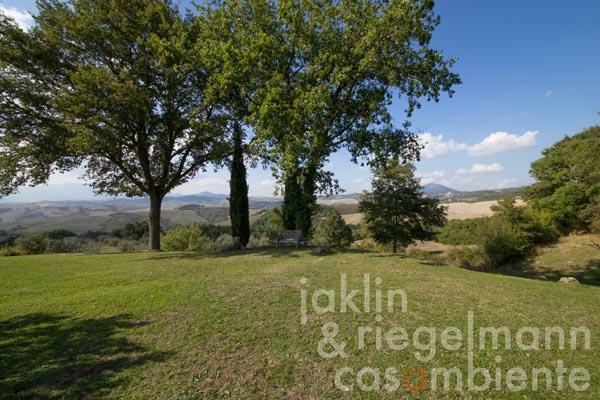 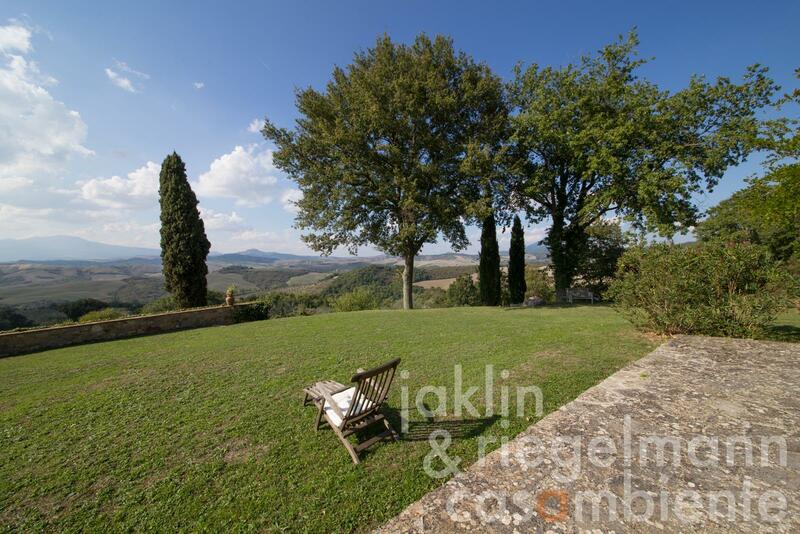 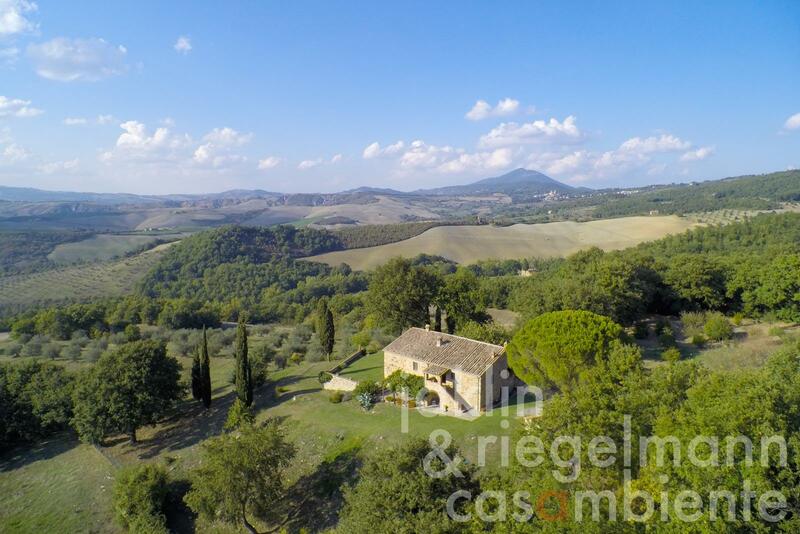 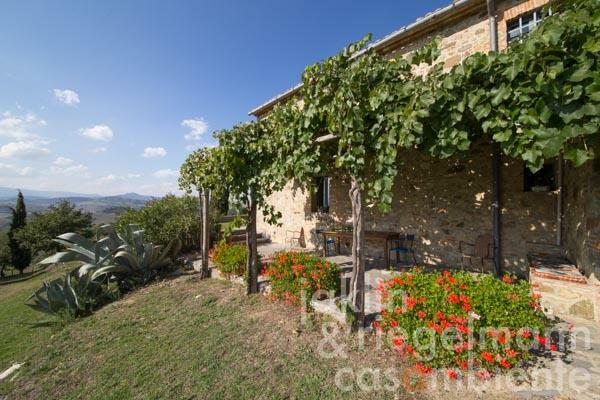 On the ground floor there is a spacious kitchen with pantry and large patio door overlooking the countryside of Val d'Orcia and giving access to a vine-covered pergola, ideal for meals outdoors and offering a magnificent view of the countryside and the park surrounding the house. A spacious gallery has been created over the entire open kitchen area, which is used as a study. 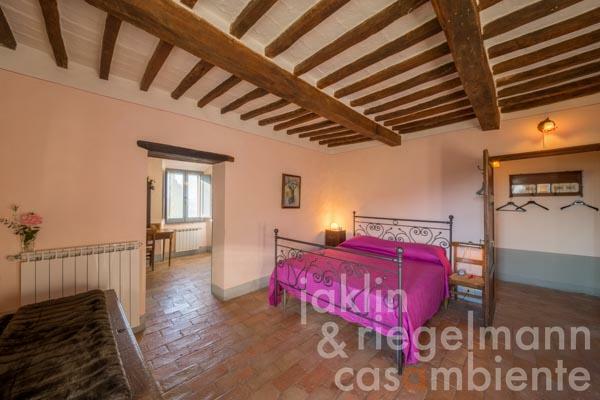 On the ground floor there are also a living room with access to another covered pergola, two bedrooms and a bathroom. A staircase leads from the kitchen to the gallery on the first floor. 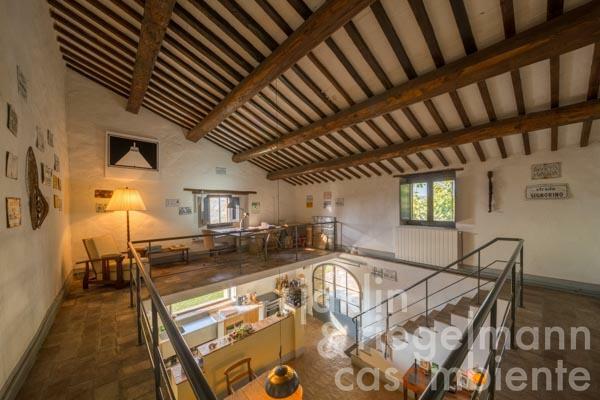 This floor can also be reached via the original stone staircase outside leading to a vaulted loggia and another staircase with a classical loggia. The first floor consists of two large parlors with antique fireplaces, a bathroom, a master bedroom with large walk-in wardrobe and en-suite bathroom as well as another bedroom with en-suite bathroom. 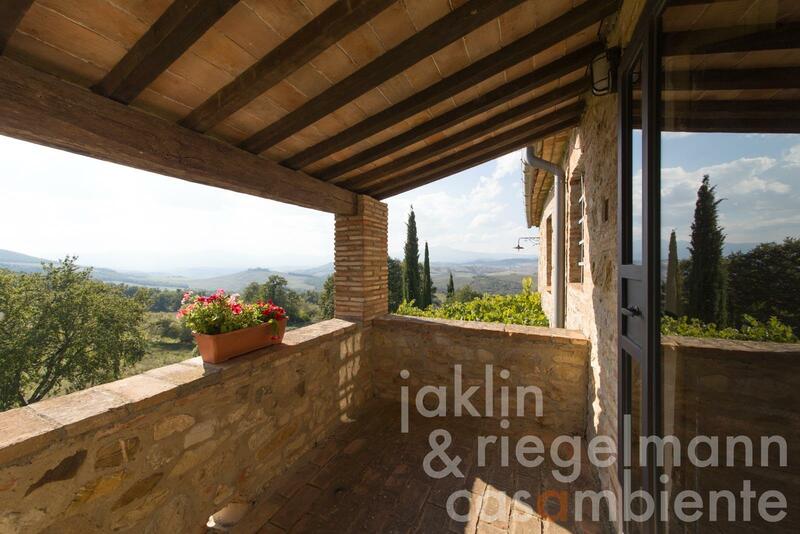 This beautiful, prestigious property offers privacy and is not far from all amenities. 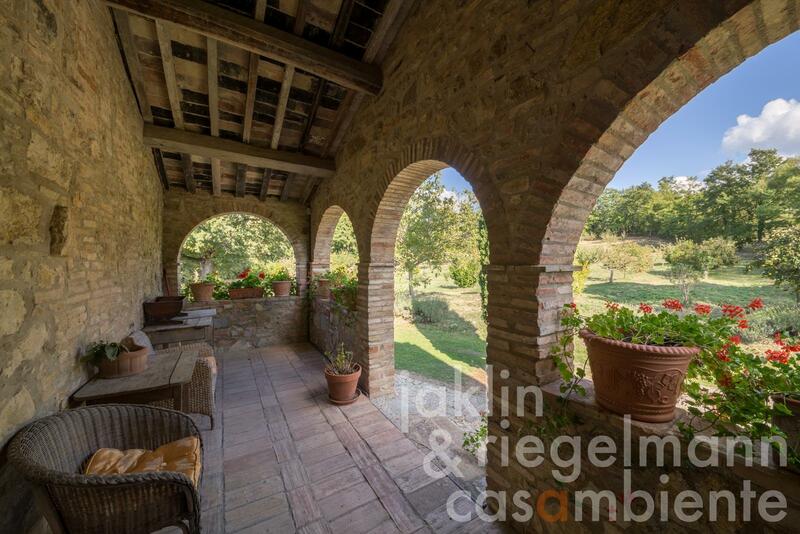 It can be used as a main residence or as a second home to spend as much time as possible in one of the most impressive landscapes of Italy. 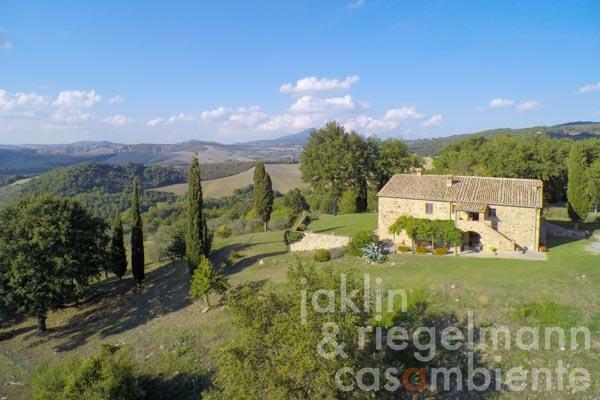 Italy, region Tuscany, province Siena, municipality San Casciano dei Bagni. Electricity, mains water, own well water, central heating, fireplace, gas tank, broadband internet access, satellite-TV, automatic gate, irrigation system, private parking, terrace, olive grove, garden.